What’s included in the birthday party at SEA LIFE Birmingham? Please note: We do not have a room available to hire for a Birthday Party. For more information and to book click here. Please note: We are currently unable to accommodate Birthday Parties for the remainder of 2018 and are currently reviewing our Birthday Party offering for 2019.  You are welcome to visit SEA LIFE Birmingham as a group here and receive discounted entry or alternatively we offer a combination ticket for both SEA LIFE Birmingham and LEGOLAND Discovery Centre Birmingham here. When are quieter times to visit SEA LIFE Birmingham? How does the time slot system work and what time should I turn up?